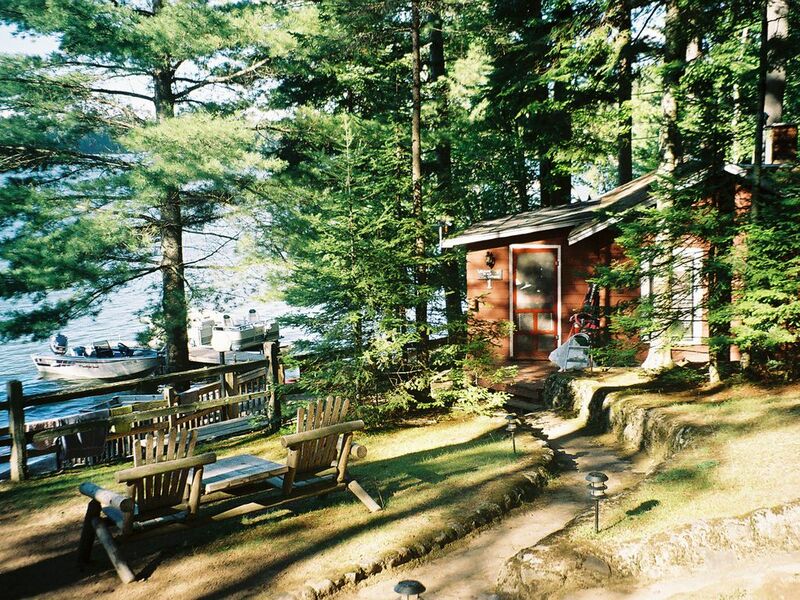 Fisherman's dream cottage located on Little St. Germain Lake just steps away from the water. Breathtaking view of the lake from the picture window, and the dense forest and lake from the bedroom window. Excellent fishing right off the dock. Dock is right out the front door. Swimming beach and huge fire pit. Nice cabin. Stairs hard to handle. Very nice cabin. Close to the lake. The only problem was the stairs from where you can park were very steep and does not have a railing. Would not recommend it for older people. Not very easy going up and down. Great weather, lots to do if you wanted. It was a beautiful property. We loved our stay. The weather didn't really coppers it was a beautiful property. We loved our stay. The weather didn't really cooperate but of course you can't control that . My family (4 kids and 2 adults) stayed at this cozy cottage this last week and had a wonderful time. We could only stay for 5 days and 4 nights because of our schedule and we were so thankful they could accommodate us. Most places wanted a 7 day stay! They had everything we needed and we had plenty of room for all 6 of us. The best part was we were RIGHT on the beach!! The kids could run right out the door and play. We had great caretakers that were very helpful. My 5 year old twins LOVED the playground! It's an older play-set but its all we needed. We could dock our boat right outside the cottage. Fishing was okay, we could catch crappies right off the pier but they were small. My husband and boys went out fishing everyday and caught northern, bass and bluegill. We saw eagles flying over head most of the day. We took advantage of St. Germains fireworks show on June 28th that were amazing and also went to the flee market in town on Monday. Lots of great places to eat we went to Knockers in town and the burgers were EXCELLENT!! We look forward to returning next year! Thank you Cahill's for a great vacation. Absolutely NO PETS allowed. You will kindly be asked to board your pet in town or leave the premises without a refund. This is a condo association rule. Owner pets allowed but must be leashed at all times.